I can really recommend Tim’s kits, they are good quality and the instructions are very clear. The price is also reasonable, although of course kits from the USA can be cheaper due to the strength of the Dollar. My next portable rig will hopefully be a Rock-Mite 20. I have an Altoids tin ready and waiting. My rig has been ordered, but there is a backlog. 73 and hope to work someone from the Summit with the Sparkford very soon! then I can use them on the hills. It was great fun and went together in an evening. I have only used the 40 from home and to be honest it’s “interesting” with just the 500 mW (thank goodness for CW) although I have had a couple of reasonably solid QSO’s with OK land. I still haven’t used it for an activation as I’m a tad concerned about the QRPp power. 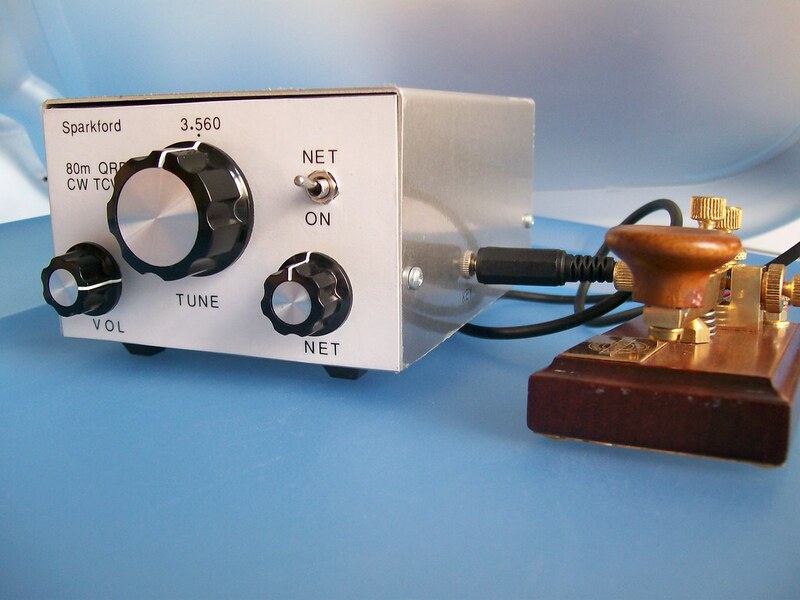 In the meantime I have an ATS-3B (from KD1JV) to build and I’ve ordered the new PFR-3 (from Doug Hendricks at qrpkits.com)… which looks like a useful SOTA type kit for reasonable money. Hi Marc, ok on your concerns about the low power from the Rock-Mite. It would only be a bit of fun anyway, I’d also probably take the FT817 or handy along too on a SOTA activation, just to make sure I qualified the summit. Of course I’m stuck to 2 ‘channels’ around 14.060 MHz too, so that will make a QSO challenging also. It seems that the power put out by the Rock-Mite is unique to each rig. Ive seen output quoted as low as 375 mW on some websites. I like the building of rigs more than the operating, but it would be nice to have at least one QSO from each rig to prove it works! Ok Steve on the SoftRock, I’ve had a look at these rigs in the past, but I consider PC’s as a neccessary evil! I wouldn’t want to lug a laptop up a summit! Andy’s laptop looks quite portable though. I’ll stick to dials and switches I think! Good luck with the SoftRock, I’ve heard they perform very well. I’m looking for a 7MHz kit now for CW, but I’m yet to come across one I like enough, apart from the TenTec 3w TCVR, which comes with hardware too. I don’t know whether I can justify the £90 ish though!